Before we look at what lies ahead, to gain a clearer perspective it is pertinent to review the past year and key macroeconomic and political factors, which have impacted both South Africa’s economic prospects and the performance of the residential property market. Firstly, after several consecutive years of subdued economic growth and, more recently, the hike in petrol prices, general consumer inflation and the tax increase, household finances – already weakened after several ‘lean’ years – have come under considerable pressure this year. If you look at the national housing market overall, it has had to contend with economic and political headwinds. 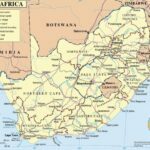 The relative outperformance in the Western Cape was, to an extent, achieved at the expense of the rest of the national housing market – with semigrants selling their homes in Gauteng and relocating to the Cape, for example. I think it is important to note that the housing market is undergoing a period of change in which the old ‘driver’ (Western Cape), while still turning in an impressive performance, is being replaced by new ‘drivers’ in Gauteng and KZN. Also, the areas of growth in the market now are not necessarily the well-established high-end suburbs but currently the more affordable areas which are not out of the reach of South Africa’ numerous less affluent buyers. And there are areas which are still seeing increased activity, for example as towns formerly considered holiday towns which are now attracting permanent residents – such as those along the Whale Coast and Garden Route. The current market slowdown is thus primarily one of the top-end and the Western Cape understandably cooling after running ahead of economic realities. It is now the turn of the more affordable, less popular towns and suburbs to recover. The year (2018) began on an optimistic note, with high expectations of a positive economic outlook as a result of Ramaphosa’s election as South Africa’s new president. However, as the full extent of the economic cost and fallout from years of State Capture became apparent, business and consumer confidence slumped. Growth forecasts were halved (now 0.7%) and the economy unexpectedly slipped into recession during the first half of 2018. The Rand, which ended 2017 at ZAR12.4 against the US dollar (amidst ‘Ramaphoria’), weakened as sentiment deteriorated, approaching a level of ZAR15.5/USD by early September. Combined with a soaring international oil price, this resulted in repeated hikes in the petrol price to record highs, inflationary in itself and detrimentally impacting consumer disposable incomes. Adding to household woes was a substantial increase in the tax burden – including a hike in VAT to 15% – as government struggled to retain fiscal discipline amid a weak economy and compromised SA Revenue Service. After a 25bps interest rate cut in March this year, interest rates have remained unchanged. The next move is likely to be a small hike – most probably in early 2019. While the inflation outlook has deteriorated (as a result of a weak Rand and higher fuel price), the subdued economy has limited the ability of companies to pass higher costs on to households – allowing the Reserve Bank to leave interest rates unchanged this year. The housing market has felt the effects of the deteriorating economy – with house price inflation slowing from 4.72% in December 2017 to 3.99% in September 2018. National house price inflation averaged 4.87% last year compared to an average of 4.37% during the year to date. 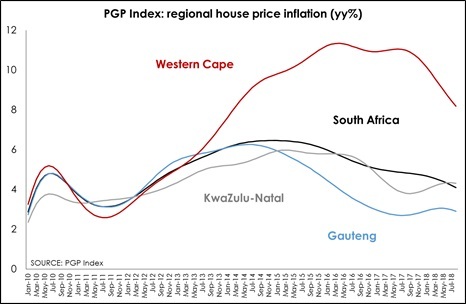 Regionally, in terms of house price inflation, the Western Cape continues to slow (7.95% in September) however the region’s prices are still rising at double the pace of the rest of SA, while KZN inflation is currently 4.27% and Gauteng 2.83%. Notably the East Rand records the strongest recovery among the Gauteng metro housing markets. 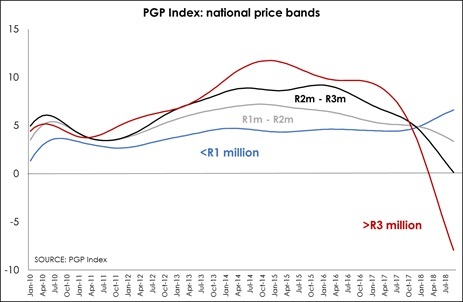 According to the PGP Index’s national price bands graph, the upper price band above R3-million remains the weakest, while the lower price band below R3-million continues to see house price inflation accelerate. From a Pam Golding Properties perspective, with sales of just over R10.7-billion for the seven-month period from March to September 2018, we are on track to achieve total sales turnover of approximately R20-billion for the financial year ended February 2019. To illustrate the broad spread of our top performing offices, in the month of September 2018 these were: Cape Town’s Southern Suburbs, Johannesburg’s Hyde Park, North Durban, Pretoria, the Cape Atlantic Seaboard, Blouberg, Fourways, Somerset West, Port Elizabeth, George, East London, Ballito, Kloof/Hillcrest, Camps Bay, Randburg, Centurion, Midrand, Pietermaritzburg, Mossel Bay and Alberton. Reviewing our sales performance over the same seven-month period reveals some interesting statistics: we have increased our sales volumes by 33% in the top end market in the price band from R25-million to R50-million, while our sales between R6-million and R12-million increased by 7% and between R3-million and R6-million by 2%. In terms of volumes (units), and in line with current national trends, the bulk of these sales were concluded in the price band below R6-million. Interestingly, two of our highest value sales during the year to date have been concluded by our Kenya office in Nairobi, to the tune of the equivalent of approximately R76.3-million for five acres of residential land and R41-million for a standalone residential home in Nairobi. Also of interest, according to an FNB report, African buyers in SA now comprise 20% of all foreign buyers, up from 16% in 2013, and with the most foreign purchases in Johannesburg (Source: Lightstone). Pam Golding Properties sales to foreign buyers remain fairly low at just below 3.5% of our total group sales, with top countries buying being the UK, Germany, Botswana, Portugal, Zimbabwe, USA, Belgium, Switzerland, China, the Netherlands, UAE and France. These buyers tend to purchase property across all price bands, but particularly between approximately R2-million and R5-million. They also tend to seek convenient, lock-up-and-go homes such as apartments in secure complexes, as well as homes within secure estates. Another interesting fast fact is that in Stellenbosch, our office is selling Da Vince Student Apartments at R62 000 per square metre, which demonstrates that where there is demand, buyers are still there. And our Somerset West office is up 17% in sales turnover over this time last year, and continuing to sell consistently. Also, in the new Sibaya Precinct to the north of Durban, vacant land is peaking at R6 000 per square metre. 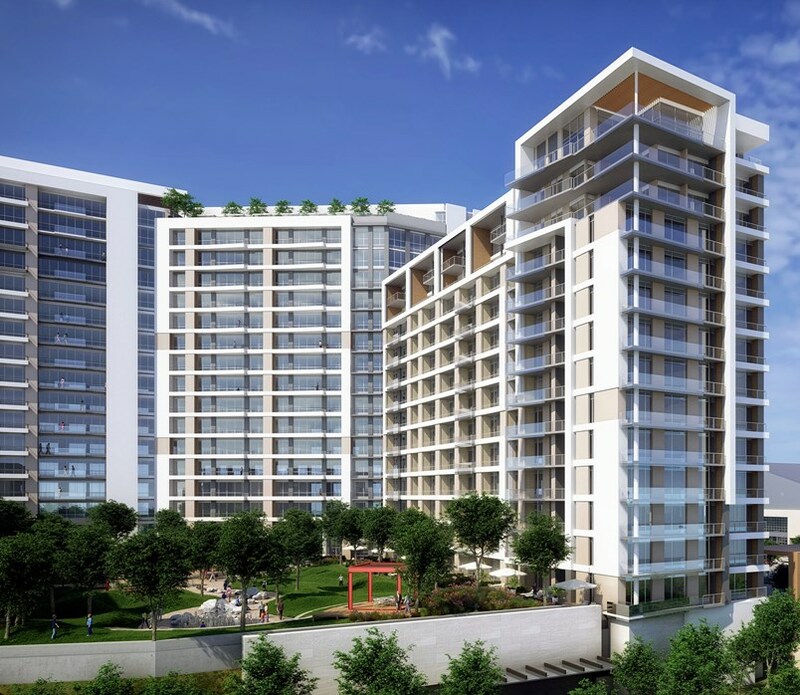 In uMhlanga we recently sold a frontline apartment for R30-million, while brand new apartments in the Oceans development have sold for between R65 000 and R68 000 per square metre. In the luxury market, as mentioned, Cape Town is still the top performing property market, and the second fastest-growing luxury residential property market globally, with pockets of strength evident at the upper end of the market, despite the current economic challenges. Val de Vie, South Africa’s top residential estate, has seen record sales over the past 12 months, with resale transactions in excess of R885-million. This is a 61% increase from the previous year when property resales of R549-million were concluded. With developer sales of over R338-million for the past year, the total sales for Val de Vie are over R1.2-billion over this period. 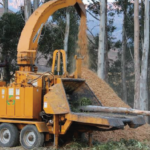 Turning to the Cape Winelands, Pam Golding Properties’ agricultural division has over the past five years sold farms in the Stellenbosch, Paarl and Franschhoek areas to the value of R3-billion. Notable sales include Uva Mira Mountain Vineyards, Hidden Valley Wine Estate, Warwick Wine Estate, Uitkyk Wine Estate, Stellenzicht Wine Estate, Cordoba and Elephant Lodge. 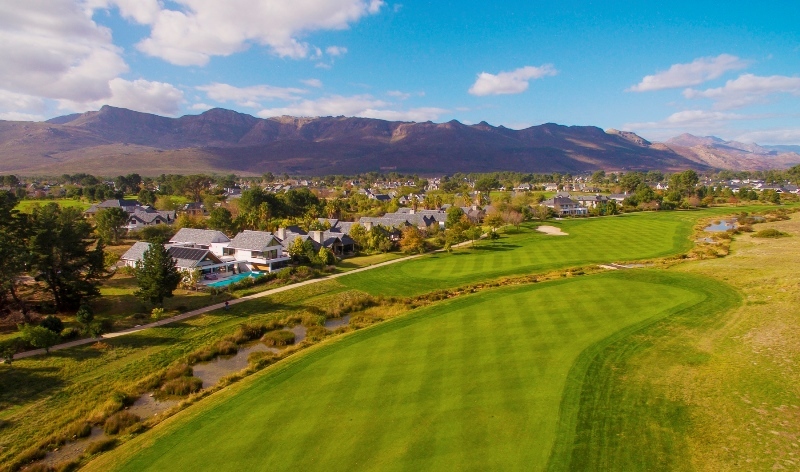 An aerial view of the Pearl Valley Golf Estate in Paarl. With its breathtaking views and secure, luxury lifestyle, this remains one of the most sought-after estates in the Cape Town and Boland areas. According to the 2018 Africa Wealth Report, which looks at 17 African countries and 23 African cities, total individual wealth held in Africa currently amounts to around USD2.3-trillion – a figure which is expected to rise by 34% over the next 10 years, reaching USD3.1-trillion by 2027. Johannesburg, Cape Town, Durban and Pretoria are all included in the top 10 wealthiest cities in Africa. Prime residential property remains a popular asset class for Africa’s affluent investor, especially luxury apartments, residential estates and beachfront villas. According to the report, SA’s cities dominate the list of the most expensive cities for prime residential property in Africa, starting with Cape Town (Bantry Bay and Clifton), followed by Durban (uMhlanga) and Johannesburg (Central Sandton). During the first quarter of 2018, monthly sales averaged 14 091 while in Q1 2017 monthly sales averaged 15 223 units. 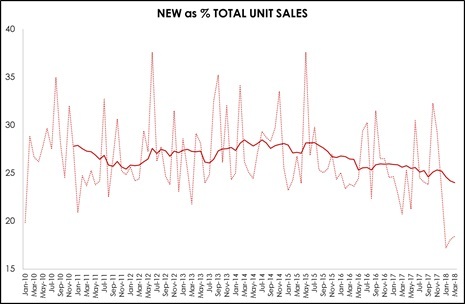 The percentage of unit sales which are new units coming to the market has declined marginally since peaking in late-2014. During the first quarter of 2018, 24.3% of total sales were new homes – down from just over 28% in the third quarter of 2014. During the first quarter of 2018, 57.4% of all new units sold were freehold properties, followed by sectional title (22.5%) and estates (19.4%). The remaining units were residential farms. There has been a slight decline in the number of new freehold properties coming to market – but interestingly, despite an ongoing demand for convenient, lock-up-and-go sectional title apartments, freehold homes still remain by far the largest new property type being built. (The chart above shows just seven years while the chart below – which shows an increase in sectional title sales – covers a period of 15 years. 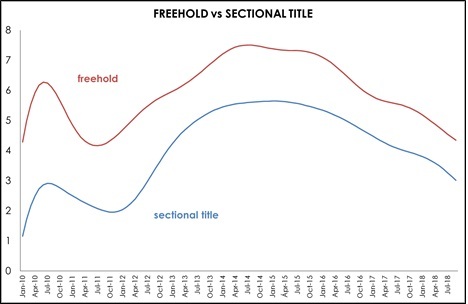 The shift from freehold to sectional title appears to have occurred between 2003 and 2013. Freehold units have maintained their market share since 2013). Despite this, according to Lightstone, the number of South Africans buying freehold homes has been steadily decreasing – with buyers opting for sectional title and estate homes instead. Increased security, affordability and the communal lifestyle are all alluring aspects when potential buyers consider apartments. Freehold properties have declined from nearly 90% of all sales to just over two thirds – with sectional title sales showing strong growth. 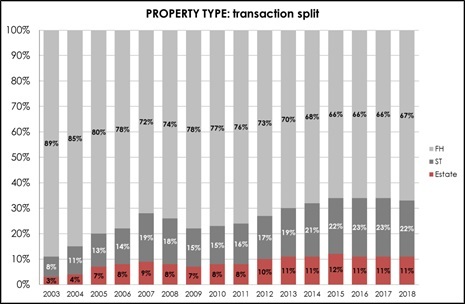 In 2003, sectional title properties accounted for just 8% of total transactions but by 2018 this had risen to 22%. During the past 15 years, Gauteng has accounted for just over half of all sectional title sales recorded in SA each year. According to Lightstone, this is attributable to the higher population density of cities and the demand for property near the business districts. It is also presumably due to the large number of first-time buyers purchasing a home in Gauteng. 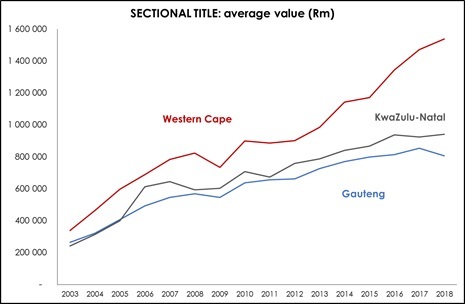 The Western Cape’s share of sectional title property sales has remained steady at around 18% for the entire 15-year period – with KZN accounting for between 16%-20% – with no discernible trend. The vast majority of Western Cape apartments are one and two-bedroom. This, according to Lightstone, is because buyers in the Cape are willing to sacrifice space for a coastal home or a view. However, it is also likely that the higher price of property in the Cape compels many buyers to purchase a smaller apartment than they could afford in much of Gauteng and KwaZulu-Natal. According to Lightstone, by far the largest percentage of sectional title properties are sold in Gauteng. Interestingly, the general make-up of homes has changed in the Cape, KZN and Gauteng over the past five years. In the Western Cape, the highest sales in estates are generally located in the Northern Suburbs while Strand has seen sectional title sales increase from 40% of sales to 52% of sales. 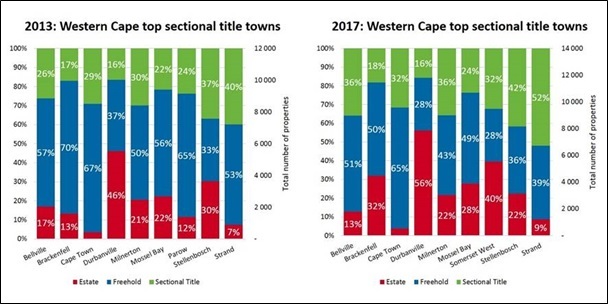 All towns have seen an increase in sectional title sales (as % total sales) although the magnitude of that increase varies significantly. In Gauteng, a substantial increase in estate sales has been seen in Centurion in recent years (rising from 40% of sales in 2013 to 55% in 2017). 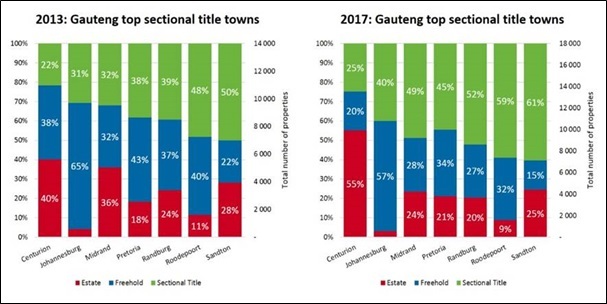 All towns have seen an increase in the percentage of sales which sectional title properties account for – with particularly large increases recorded in Midrand, Randburg, Roodepoort and Sandton. 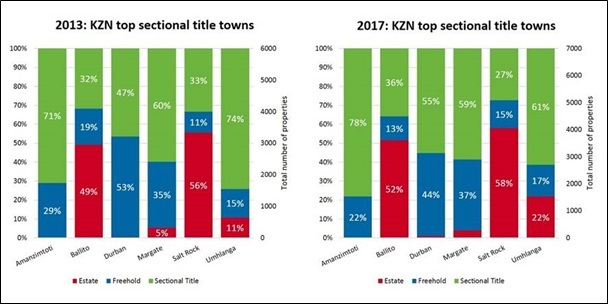 In KZN, uMhlanga was the most popular sectional title offering in 2013 while in 2017 Amanzimtoti was the most popular, with 78% of sales occurring in sectional titles. Estates have become more popular in most towns across the province. The average price of a sectional title unit purchased in the Western Cape is significantly higher than in the rest of the country. The recent boom in property prices in the Cape (since 2013) has seen sectional title prices soar by 56.3% over the past five years. Lightstone anticipates that growth in sectional title prices is likely to continue as demand for this property segment increases amongst all demographics. However, it is important to note that sectional title prices are not proving to be more resilient that freehold prices, not even when comparing larger freehold to smaller sectional title properties. The FNB data (which allowed the comparison of four-bedroom freehold with less than two-bedroom sectional title) is no longer available beyond end-2016. During the year to date, freehold house price inflation has averaged 4.8% while sectional title prices have averaged 3.5%. Over the most recent 12 months (Apr’17 – Mar’18), unit sales in Gauteng accounted for 42.3% of total sales. 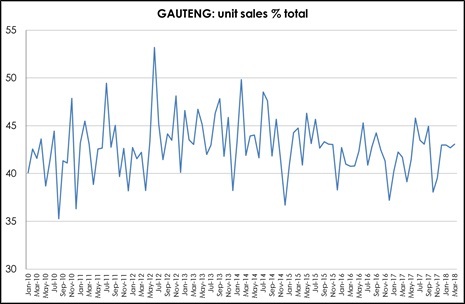 Gauteng’s sales have remained steady at between 40-45% since 2010. 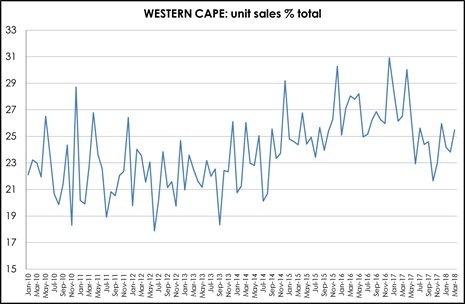 During the same 12-month period, Western Cape sales accounted for 24.8% of total sales (see below). 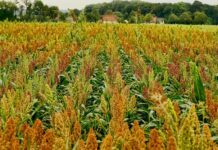 The impact of semigration on total sales is evident, with the Cape accounting for an increasing percentage of total sales between 2013 and 2016 when it rose from 20% to about 30%. 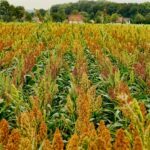 It has since declined to around 25% – perhaps reflecting the impact of the drought and the deterioration in affordability. 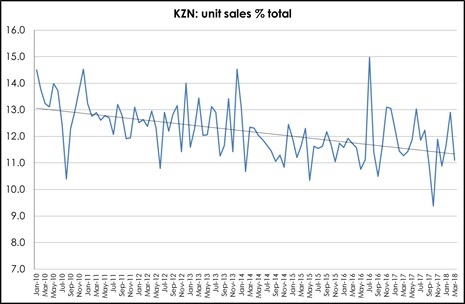 Over the same 12-month period, KwaZulu-Natal sales accounted for 11.6% of total sales in SA. 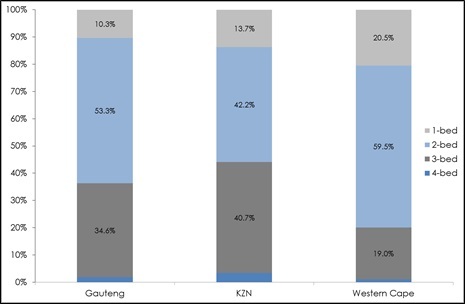 However, KZN appears to be marginally losing market share – declining from around 13% in 2010 to closer to 11% in 2018 (see below). 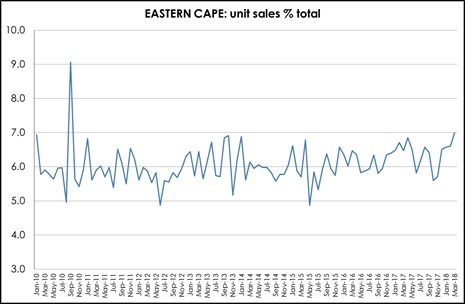 Eastern Cape home sales accounted for just 6.5% of total sales, with this region’s percentage of total sales remaining fairly static at around 6% since 2010 (see chart below). What of coastal vs non-coastal property? 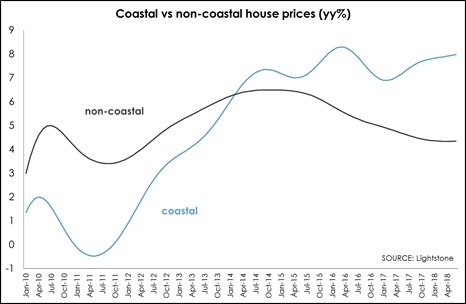 Coastal properties (within 500 m of the coastline) continue to register a strengthening in house price inflation while the slowdown in non-coastal appears to be bottoming out. Data is only available for the first half of the year, with coastal properties registering an average increase in prices of 7.9% compared to just 4.3% for non-coastal. 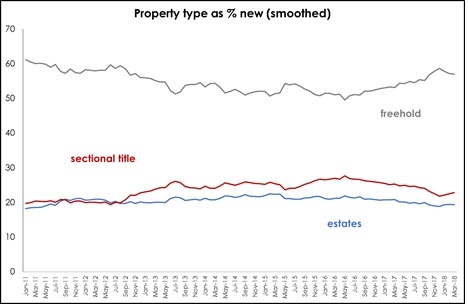 Estate sales rose from a low of 13% (6m MA) in late-2010 to a peak of 16.2% in August 2014. 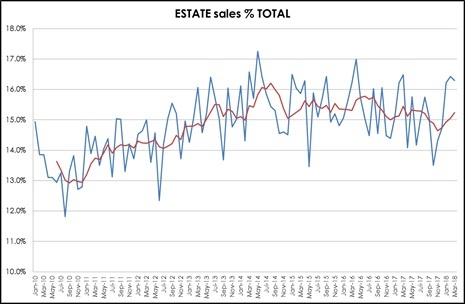 Estate sales have since slowed slightly faster than overall sales – reaching a level of just over 15% by early 2018. It seems that in the current environment, estate sales are holding their own and are no longer accounting for a growing market share. It could perhaps reflect the growing preference for sectional title homes. Gauteng is still home to the largest number of estate sales each year. 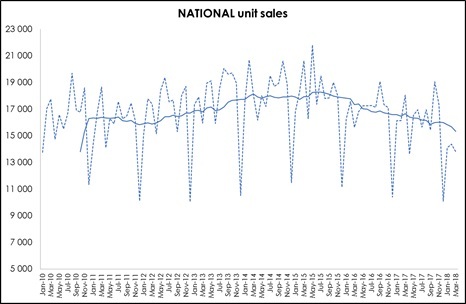 However, sales have been declining in Gauteng in recent years. 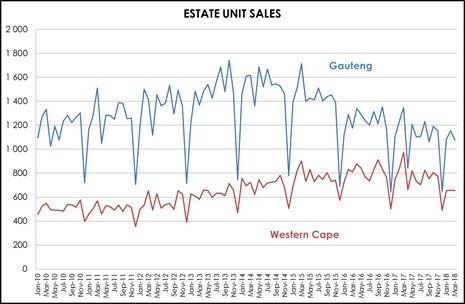 In contrast, Western Cape estate sales have stabilised at around 800 units per month until very recently when they have slowed to just under 660 units a month during the first quarter of 2018. The national vacancy rate rose for the second consecutive quarter to 7.9% in Q2 2018, driven by high vacancies (13.2%) at the lower end (<R3 000) and of 14% at the upper end (R12 000). 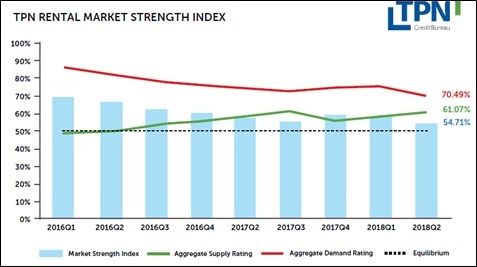 However, national market strength continues to show higher demand than supply for the market, resulting in overall market strength marginally higher than equilibrium (50). But demand is easing and supply is rising, so the market is moving towards equilibrium (less upward pressure on rentals). The upper price band (R12 000 – R25 000) has the highest vacancy rate and has had for the past two years (as far back as data is available) and is closest to market equilibrium at 52.5%. This price band accounts for just 6.3% of the total rental stock. In recent years, the Western Cape has enjoyed the strongest rental market (with demand exceeding supply by the largest margin). However, in the second quarter the Cape market weakened noticeably (see below). According to the third quarter FNB Estate Agent Survey, there are some emerging signs that the rental market could be in for a mildly better run in the near term. Affordability issues can put the brakes on a portion of aspirant first-time buyers, who typically will then opt for the rental market. For this same reason, a greater portion of sellers may choose to rent after selling as opposed to buying again, as according to FNB Q3 survey, selling due to financial pressure has risen to 16.3% – the highest level since 2013. The percentage of those selling due to financial pressure who will now rent down (rather than buy down) has risen sharply to 65.6%. On the rental home supply side, FNB is seeing indications of declining levels of buy-to-let home buying, but not yet of rising investment home selling in the Estate Agent Survey. Rising rental demand, and more constrained new supply of rental homes, could conceivably see rental inflation picking up mildly, outperforming lowly house price inflation in the next few years, and translating into gradually rising yields on residential properties. Having said that, in KZN we are witnessing an influx of investors seeking property to let. Durban is a great buy-to-let market as acquisition costs are low enough to make yields and gearing attractive, while uMhlanga is also popular because not only are yields strong, but capital appreciation is also very good. For example, you can secure an apartment in the New Town area of uMhlanga for around R1-million and achieve a monthly rental return of between R7 000 and R8 000. If you pay a 30% deposit, your property is perfectly geared and the return on cash invested is excellent. But it remains tough to predict, and we certainly wouldn’t expect any rental market “boom”. Rather, a moderate and gradual strengthening at best. It is important to remember that the levels of financial stress/pressure on households is rising, and a significant portion of the aspirant tenant population won’t necessarily be financially strong. The rental market is of course also dynamic and is supply-and-demand driven, and prone to cyclical price shifts. That being said, properties that are priced correctly in the current market do let, and we are already seeing a noticeable increase in tenant demand as we move into the summer months. We have just concluded a short-term, three-month lease in Camps Bay for just over R500 000, for example. During the first half of the year, the Gauteng rental market was very buoyant across the board and with a fair number of corporates coming into the country and looking for secure properties to rent. 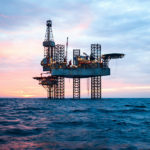 Although there is still reasonable activity in the market, this has since slowed as companies cut their budgets, thus putting pressure on the high-end of the market. Overall, the Fourways area is a highly competitive rental market, good tenants are in high demand and what has helped drive the rental market is the fact that many people have put their homeownership aspirations on the backburner and are instead opting to rent until the market turns. Rentals in the greater Fourways area and surrounds vary and range from R6 500 to R7 000 for smaller bachelor apartments or one-bedroom units and up to R55 000 for spacious homes in large secure estates such as Dainfern Residential and Golf Estate and Steyn City. There is a lot of activity in rental properties priced between R7 500 and R20 000 within suburbs such as Lonehill, Sunninghill and Douglasdale. Overall, we expect the rental market to improve from February 2019, and particularly the corporate rental market when corporates start looking again and families want to ensure their children are ready for the new school year. Through Pam Golding International, our offshore activity continues apace, with the appetite among South Africans to diversify their investment portfolios gaining momentum, coupled with a strong demand to acquire property which includes permanent residency, as well as providing an offshore investment bolthole. The Portugal EU Residency programme remains by far the most popular – South Africans like the fact that Portugal forms part of mainland Europe, its proximity to other European cities, such as London, and cities such as Lisbon and Porto which are transforming themselves, attracting young talent from all over the world as new, modern developments and upgrades take place. Notably, Portugal still offers exceptional value for those considering relocating there, as well as appealing tax benefits. One of the latest developments we are marketing is The Rebello Luxury Hotel Apartments in Porto, at prices starting from EUR220 000. In Cyprus, for an investment of EUR2-million, you can acquire full European citizen ship for life in just 4-6 months for you and your family, with the opportunity to disinvest after three years by selling your property, but with the requirement that you reinvest EUR 500 000. Meanwhile in Grenada, you can acquire citizenship by investing in Government-approved real estate developments such as Kimpton Kawana Bay from USD350 000. Grenada citizenship has a wide array of benefits, such as visa-free travel to over 125 countries and eligibility to the US E2 Investor Visa, which allows you to start a business and live in the US to operate it. Now more than ever, Mauritius is a sought-after destination for South Africans, and over the past three years we have seen a significant increase in the number of families making this their home. 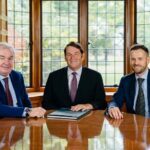 In fact, over the past 12 months we’ve seen a dramatic escalation in interest from families and older couples looking to reside on the island, where there is a growing requirement for skilled professionals. As a result, there’s a demand for rental property from younger families moving there to take up work-related opportunities. Real estate activity continues to be centred around the areas of Grand Baie on the north coast and Black River on the west coast, mainly in the price range from USD300 000 to USD2 million. On Eden Island in Seychelles, what began over 10 years ago as a reclaimed coral island is today a fully functional residential marina development within 56 ha of lush landscaping. With over 500 (95%) homes already completed and 550 sold, it has become a vibrant and cosmopolitan community. An interesting statistic is that 25% of homeowners own more than one home on Eden Island and all owners qualify to apply for Seychelles Residency. Prices of units currently start at USD455 000. Whatever the price band, value for money is a recurring theme for first-time and repeat buyers alike. FNB Estate Agent Survey reveals a slight increase in financially stressed households selling to downsize as well as a slight increase in the number of homeowners who are selling due to financial distress and who are then opting to rent rather than buy a smaller property. FNB Agent Survey also shows a slowdown in homeowners upgrading their properties (luxury) and a slight increase in the percentage of home owners who are only conducting basic maintenance. Despite this, the market does, however, remain stronger than during the 2008/09 recession. But the focus on affordability is not just about financially stressed households, it also reflects the large percentage of young South Africans who are wanting to enter the housing market for the first time. The issue of affordability is behind the continued strong performance of non-traditional areas amidst perceptions that the more established / popular areas have seen a marked deterioration in affordability after several years of robust price growth. Demand has effectively rotated out of historically popular / less affordable areas into more affordable often smaller/historically holiday destinations which offer a great lifestyle and more affordable homes. So there is some upside for non-traditional markets as a result of the affordability theme. Positively, in today’s market, there are a number of areas around the country which offer good value – particularly for first-time buyers, as well as the potential for sound capital appreciation over the medium to longer term. These range from the burgeoning East Rand, an area experiencing the strongest recovery among Gauteng metro markets, Randburg and Johannesburg South to the greater Fourways region, and areas such as Equestria, Moreleta Park and Mooikloof Ridge in Pretoria and Amberfield and Raslouw in Centurion, to the suburb of Amanzimtoti in eThekwini Metro on the outskirts of Durban in KwaZulu-Natal, certain parts of Glenwood and Morningside in Durban, to the Western Cape areas of Parklands on the West Coast and Burgundy Estate, between Cape Town and Durbanville Hills and 10 minutes from Century City. The outlook for fuel prices is uncertain (depends on the Rand and oil prices – both of which are volatile). But given that there is a high probability of further fuel price increases, it seems likely that fuel will remain expensive, and so people are becoming more reluctant to travel long distances for their daily commute. This trend is the exact opposite to the affordability trend, which drives people further away from traditional growth nodes. (Although to the extent that businesses are increasingly relocating to decentralised business nodes, and that retail and education / health facilities are beginning to emerge in these decentralised nodes it is still often possible to move to a more affordable area further away from the more traditional/established suburbs and still save on transport costs). Add to that the continued deterioration in congestion (urbanisation and densification) and the extent to which ‘location’ is a consideration when purchasing a house is likely to remain critical. This suggests the trend towards smaller, better located properties (sectional title) will continue – with compact, upmarket developments on the periphery of robust growth nodes likely to become even more popular. As more residents cluster around the periphery of growth nodes, so we are likely to see the return of neighbourhood ‘high streets’ and shopping centres. As the fuel price rises, people are sacrificing space and moving closer to work and school, and also reducing the distance they are willing to drive to do their shopping. This is measured in terms of time rather than distance – and is currently estimated at about 20 minutes. With people moving closer to work and shoppers reluctant to travel far to shop, we are seeing a virtuous circle development between business growth nodes and their surrounding residential areas. Businesses are attracted by the purchasing power of a middle- to upper-income residential area. Business owners may even purchase a home in the nearby suburbs, reducing their own daily commute. Growth nodes also benefit if there is easy access to public transport and shopping facilities for employees. The more the growth node flourishes, the more appealing the surrounding suburbs become – hence the virtuous circle. Despite the economic slowdown, there have still been pockets of robust activity. There are so-called ‘micro-markets’ or self-contained, residential nodes that offer the same security and access to amenities as high-end estates. These include the Waterfront’s Silo District where eight apartments were sold last year, with a median price of R9.8-million. As traffic congestion escalates, people are looking to live in self-contained nodes that offer security, convenience and easy access to popular attractions. This new mixed-use development in the upcoming Foreshore area will provide the largest selection of residential apartments in the CBD. 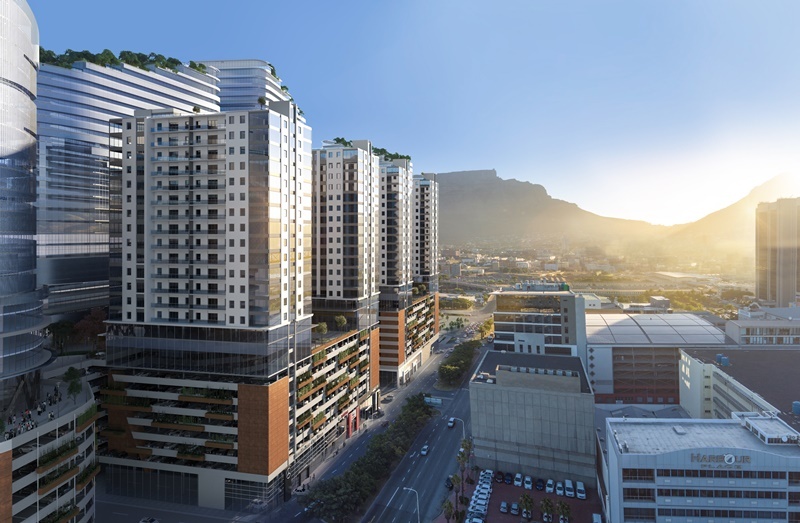 Apartment sales in No 1 Harbour Arch have passed the R1 billion mark, with over 96% sold. Ooba estimates the average age of the first-time buyer is 34 years and the average price of a first home is R940 000 (year to date). By necessity that is likely to be a sectional title property. While millennials may favour a lock-up-and-go lifestyle while young, they may well find (as is the case overseas) that when they have children they still want to move to the suburbs, but perhaps these days it’s a small house in an estate. Millennials do not appear to want to buy the type of home they grew up in (freehold with a large garden in the suburbs) – according to Professor Francois Viruly of UCT. Positively, according to ooba, more and more banks are willing to offer 100% loans to first-time buyers – with about 60% of first-time buyers benefitting from this. This is particularly true if first-time buyers are looking to purchase a home for less than R1-million. This exponentially increasing demand from first-time buyers coupled with financial institutions’ appetite to extend mortgages provides a solid underpinning for the market. Younger buyers are opting for smaller homes because of cost considerations and also the reduced maintenance load. A trend being seen in cities around the world is the emergence of the micro-unit, between 20 to 30% smaller than a conventional sized studio. This allows for a more affordable rental option for those wanting to live close to work. In Cape Town’s CBD, a micro-unit would be about 35m² with a monthly rental of between R8 530 and R9 749. Cape Town’s CBD is increasingly popular with young professionals wanting a vibrant, urban lifestyle close to work. Developments such as 16 on Bree include formal meeting and hot desk spaces to accommodate residents who want to work remotely but still be close to their homes. We are also seeing more families looking at inner city living, and some developments now include crèche facilities. There is substantial government investment planned in Gauteng, in terms of the Gautrain extension, transport corridors and numerous new megacities. In KZN there is significant government spending planned around the aerotropolis and a major interchange, which it is hoped will open up and revitalise the area, as well as a new secure lifestyle precinct being developed in the Point area. 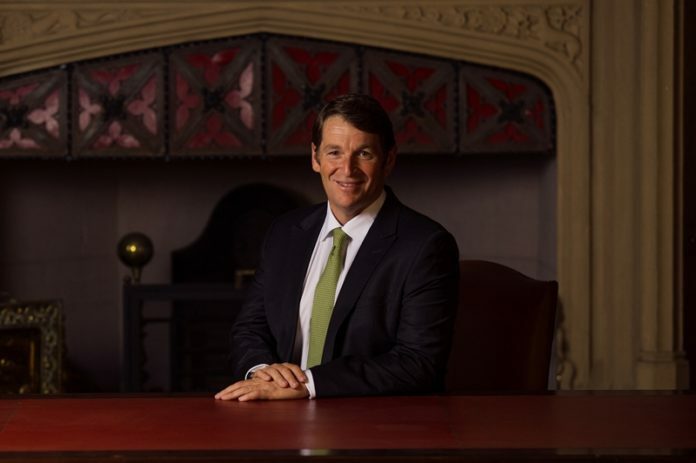 There is also considerable private investment planned/underway in key growth nodes such Century City (redevelopment of Ratanga Junction), plus the R1.1-billion expansion of the V&A Waterfront that includes an urban park and residential development, and Claremont in the Cape, Rosebank in JHB and uMhlanga in KZN. Some of the investments are attempting to introduce a new type of living. In Johannesburg CBD Jewel City (2 200 units) looks at providing mixed-use housing for a lower income level (currently most mixed-use is aimed at the upper-end of the market) while in Rosebank, Thirty Keyes is an upmarket development which is attempting to reintroduce shared spaces (for example gardens and pedestrian walkways). The Trilogy Collection Phase 2, a brand new urban residential development situated in Pretoria’s vibrant Menlyn Maine precinct. With growing congestion and the rising cost of fuel reducing the distance that people are willing to travel each day – there is a strong desire to live close to work, schools and retail. This can either be achieved by living in an estate, or by living in a growth node which offers all these facilities. Instead of a single large congested, expensive node – it makes more sense to have several smaller less expensive nodes. There can also be a clustering of particular businesses within a particular node – such as financial services and legal companies. 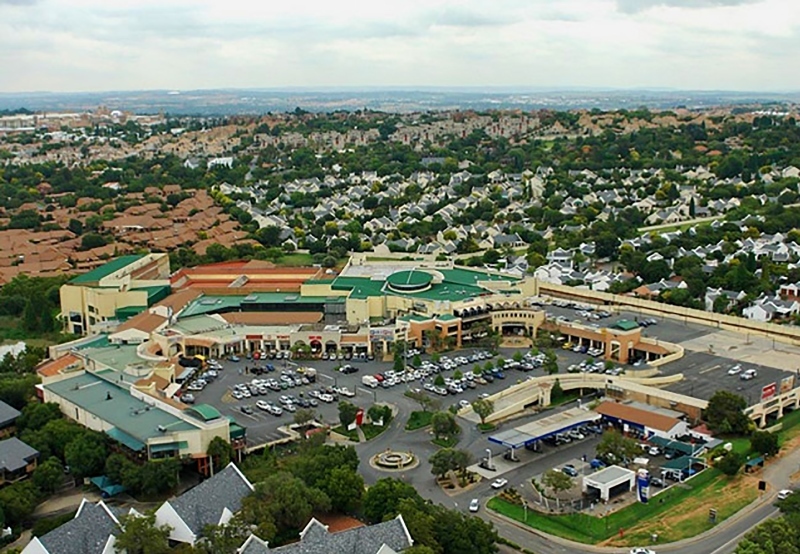 The greater Fourways area has become greater Johannesburg’s fastest growing centre evolving into a mini-city in the mould of Sandton city centre. While Cape Town is a globally sought-after destination, acclaimed for its natural beauty, lifestyle and world-class services, the city’s well-established Northern Suburbs have morphed into what is essentially an appealing city in its own right, away from the congestion and increasing densification of the Mother City’s CBD and surrounds. And in KZN, the rapidly expanding North Coast region, in close proximity to King Shaka International Airport and proliferation of secure lifestyle estates, the North Coast areas from uMhlanga, Umdloti and Sibaya through to Ballito and Zimbali are increasingly in demand from home buyers from KZN and other regions. Globally and in South Africa, mixed-use developments have arisen as a result of the need for urban development and redevelopment to cater for the growing desire and need for convenient, appealing and sustainable areas where people can live, work and play. Typically, these mixed-use spaces or precincts offer a host of facilities and amenities including residential accommodation, retail and office space, recreational and entertainment activities and easy access to transport. In Cape Town we have been involved in the marketing of several developments including The Glengariff and 169 on Main in Sea Point. The benefits of buying in a new development remain appealing, despite the current downturn in the property market’s inevitable cycle, to those who value modern design, energy and water saving technology, cutting edge security, quality lifestyle such as pools and recreation space and selected retail and reduced maintenance. Furthermore, buying into a new residential development at today’s prices with a minimum down payment is distinctly advantageous as while this is market dependent, it translates into good capital growth in the medium to long term. uMhlanga has become a good example of successful mixed-use living with many of the new developments in the area incorporating retail, commercial and residential components. Estate living is a global phenomenon that first came to SA in the 1980s, but really started to catch on from the mid-1990s. Today, home buyers are increasingly focused on living in a secure environment while having easy access to amenities and outdoor and sporting activities. Wellness, equestrianism, fishing, walking and other sporting pursuits are all used to differentiate the product offering from one estate to another. Estate properties also offer access to high quality recreational facilities, provide a strong sense of community and give residents greater control over shared expenditure and development. The latter has become more important in the current environment of rising utility costs. Key factors contributing to the popularity of estate living are a secure lifestyle and location — with those situated in and around major metropolitan areas or business hubs and in close proximity to good schooling proving among the most sought after and successful. With people experiencing ever-increasing longevity, there is an ongoing shortage of suitable, affordably priced retirement accommodation to cater for a growing demand across all sectors of the market. There is also is an emerging trend which is seeing retirees moving away from traditional retirement homes and instead opting for more flexible, active living within an existing and secure residential community with a host of activities. For example, a retirement component within an established residential development or estate which offers an array of benefits and amenities including security, plus leisure facilities such as walking trails, jogging tracks, swimming pool, tennis, golf, squash, gym and a clubhouse or recreation centre, as well as easy access to medical facilities such as hospitals, clinics and other amenities. As a result, we are seeing residential estates adding retirement villages to their product offering. The KZN North Coast sees itself as the Florida of South Africa, while the affordable KZN South Coast is constantly in demand, with long waiting lists for new retirement developments. In Cape Town we are seeing a clear shift away from the traditional retirement home to lock-up-and-go lifestyle accommodation that offers an array of amenities. Developments that cater for these needs, as buyers’ needs change or as they opt to downscale from larger family homes once their children have moved out, are therefore highly sought after. Pam Golding Properties is marketing Quadrant Gardens in Claremont, a contemporary development that caters for over-60s who want modern, urban living with access to emergency care if needed. Features include a rooftop terrace with a recreational area and croquet court as well as an in-house restaurant. Centrally located, Quadrant Gardens is within a mixed-use development that also has a wellness centre and gymnasium. Similarly, Pinelands Grove in Pinelands and Zonnezicht Retirement Village in Durbanville allow for independent living but also include medical facilities and communal recreational activities. The most recent available figures from FNB are for 2017, which shows a slowdown in semigration to the Western Cape. However, this would have been heavily influenced by the recent drought. While that has dissipated, the deterioration in the affordability of properties in the Western Cape is likely to reduce the net inflow of repeat buyers to the Cape. On the other hand, KZN – in particular the North Coast, the Eastern Cape and Garden Route report a steady demand from home buyers from other provinces, including Gauteng, while Gauteng itself, as the economic powerhouse of SA, enjoys a constant flow of buyers into the province. At this stage, there is still a comprehensive process to be followed, which is under way. Until the matter has been finalised, any conclusion as to the potential impact of this on the property market is speculative. However, historically and globally, property has over time proven to be a sound medium to long term investment and means of wealth creation. Critical to this is making the right choice of property in the right location. As stated, currently there remains a strong demand for well-priced homes which are selling to a cross-section of buyers, including investors. Helping drive this demand, South Africa has a large population of younger-generation home buyers, eager to gain a foothold on the property ownership ladder. Political uncertainty is being felt via its impact on confidence – both business and consumer. In terms of business confidence, this is impacting on the willingness of business to invest and hence is dampening the economic growth rate. Nonetheless, we are seeing that financial institutions are still willing to extend mortgages (even in the face of threats of expropriation without compensation) and property developers are continuing to invest heavily in vibrant growth nodes. In terms of consumer confidence, uncertainty is hurting the upper end of the market in particular – fuelling a significant wave of emigration and property sales. In Gauteng, there is evidence of a desire to semigrate or emigrate – not yet at levels seen previously but certainly a discernible trend. This is contributing to weakness in the upper end of the market. In the Cape, weakness at the top end of the market is due more to prices having run ahead of economic realities and the resultant shift from a sellers’ to a buyers’ market. Socio political uncertainty also appears to have had an impact on foreign buyers – although possibly not from across the African continent. This may be offset to a certain extent by the weaker Rand (improving affordability) but (as FNB notes) often the interest among foreigners for SA property is driven more by the international cycle of whether property is in favour or not as an asset class than by the Rand. Now that the Cape drought has been broken, early indications are that foreign tourists are returning for the 2018/19 season – and this typically is positive for the local property market. The mood was somewhat subdued in the wake of the MTBPS, predominantly because the full cost of the years of State Capture are becoming increasingly apparent and it is hindering the ability of Treasury to get government finances under control. This is evident in both the deficit and state debt as a percentage of GDP being higher for longer than anticipated in February. This, in turn, limits the funds available for government measures aimed at stimulating economic growth – and limits any new measure to what can be financed by reallocating funds from other areas. On the upside the economy is in capable hands and the rot associated with State Capture is being addressed, but on the downside the full extent of the problem is proving to be bigger than initially anticipated. 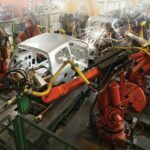 The messaging from the recent MTBPS is far more positive than the MTBPS of 2017 – which did not seem to understand the full market implications of the decisions made. Political analysts suggest that it will only be after the elections that we will see any real political direction coming into the system – resulting in momentum towards resolving the various problems SA faces. 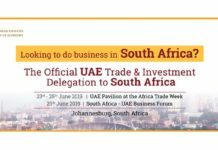 However, Ramaphosa’s Investment Summit saw the announcement of R134.1-billion in new investments in South Africa by the private sector, which augurs well for job creation and our local economy. Interest rates remain at relatively low levels. Currently it appears likely that interest rates will remain on hold until early-2019, but there are several ‘moving parts’ which could alter the timing of the first interest rate hike in the next interest rate cycle. The Rand is crucial to the interest rate outlook as it will play an important role in inflationary pressures, although the other key element is how weak the economy is and therefore how easily higher costs can be passed on to consumers (the so-called second round effect). The global environment holds the greatest risk, with the US raising interest rates and risk of a US-China trade war, Brexit, Italian banking crisis etc. When the global environment becomes volatile, investors typically shun emerging markets and then the Rand tends to weaken. So much of the risk to the inflation and interest rate outlook lies outside South Africa. The most likely scenario is that interest rates are raised slowly and incrementally, which should not disrupt the property market to any large extent, given that interest rates are currently relatively low. Interest rates are likely to rise slowly but steadily during the course of the year. Growth is likely to be marginally stronger. 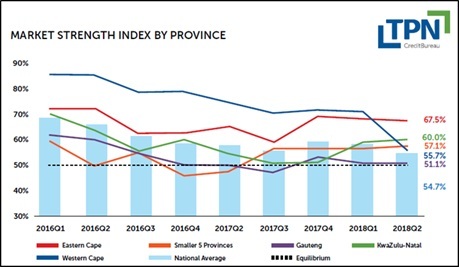 2019 appears likely to be the year in which the Cape regional market moves back in line with the rest of South Africa – with Gauteng and KZN being the relative outperformers – although this is unlikely to be to the same extent as the Cape’s outperformance in recent years. It is likely to be another challenging year in the housing market – but with flourishing growth nodes and smaller (mostly coastal) towns which were previously considered holiday towns enjoying a revival in fortunes. Although the outlook for the national housing market is still constrained – given that economic growth remains weak and the international environment is becoming increasingly unsettled (with risks of trade wars, China’s economic slowing, oil prices rising etc), there are still opportunities in well priced housing markets – particularly those which offer an attractive lifestyle away from the congestion and stress of the major metro areas. Certainly, the young age profile of residents of SA and much of Africa presents a huge opportunity, as there is a long-term structural demand for housing. SA is already a global leader in green/sustainable building in the commercial sector and increasingly in residential. Niche accommodation such as student housing and retirement units, both of which are growing markets and also areas where developers are only now beginning to adjust to the lifestyle requirements of these buyers. Apartments are another opportunity, because first-time buyers generally start with an apartment but so do downsizers (although they usually opt for high-end apartments). However, SA housing stock still reflects the old preference for large suburban homes, which for cost and security, and perhaps also lifestyle reasons, are less popular among some home buyers. Already small towns or lifestyle towns, previously considered holiday home destinations are now beginning to attract a growing number of buyers looking to purchase their primary residence, to escape the stress, congestion and expense of living in major urban hubs. With private hospitals and schools being built in smaller towns, such as Hermanus, for example, it becomes an option to live there. Homes are more affordable, lifestyle is more relaxed and commuting less stressful. 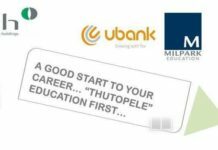 For investors, in today’s environment it’s important to consider location – and any congestion factor, price and understanding the type of property for which there is consistent demand – for example first-time homes, student accommodation, retirement units and high-end sectional title units (for downsizers and lifestyle changers).